"Align yourself with the universe. Mythical winter as rest and regeneration. Poems/Holydays and stories from Grandmother Moon and Grandmother of Time. The whole CD floats on the beautiful choral works of Bela Bartok and the Hungarian Women's Chorus from Gyor." And just who is Z Budapest? Zsuzsanna E. Budapest, better known as "Z," is a passionately committed feminist who sees Goddess religion as a crucial ideological and psychological support to the work of feminism. She is considered to be one of the founding mothers of the women's spirituality movement, and coined the term "feminist spirituality." She is the author of The Holy Book of Women's Mysteries, GrandMother of Time, GrandMother Moon, The Goddess in the Office, The Goddess in the Bedroom and Summoning the Fates. She is the spiritual mother of the American Dianic Tradition and as High Priestess within her tradition, she leads Goddess-centered retreats and celebrations throughout the year. She is also the matron of the Women's Spirituality Forum and uses her work with the forum to further women's spirituality, education, empowerment and peace. She is the founding mother of the Dianic Tradition which began in Los Angeles, CA on Winter Solstice night 1971. 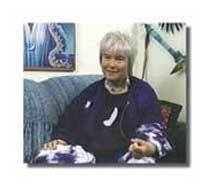 When Z moved north to the SF Bay area, she ordained Ruth Rhiannon Barrett to stand at center. Ruth was with the Los Angeles Community, Circle of Aradia, for twenty years before moving to Madison, Wi. Ruth along with Falcon River co-founded The Temple of Diana. Before leaving the Los Angeles area, Ruth ordained Holin Badger Shubad, who stands center at Arachne's Grove and me. I stands center at Circle of Aradia. Amazing to think that COA entered our 32nd year of serving women in the greater Los Angeles Community. Oh dear, seems I have done my own Goddess Monologue...Anyway check out Z's new CD. 2 Jan 2011 @ 03:02: Happy New Year!